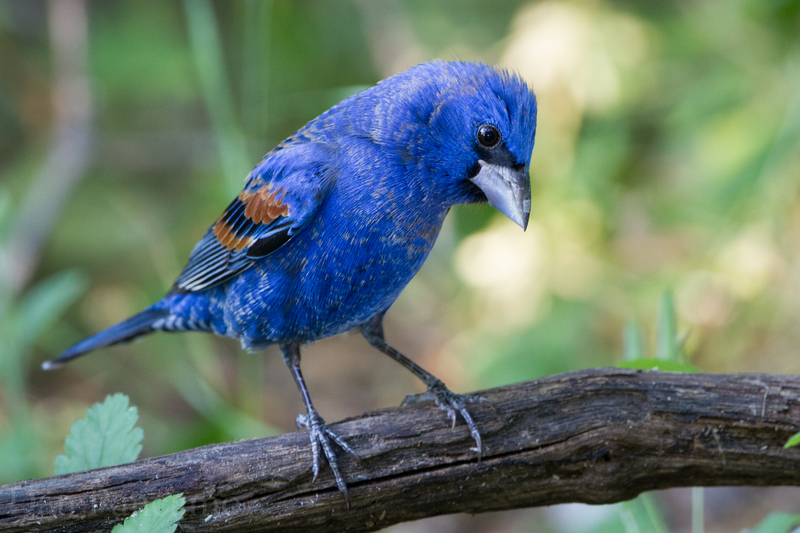 Adam Byrne had the good fortune last year to observe a nesting pair of Blue Grosbeaks. He wasn’t in Tennessee, Florida or other southern state where they commonly sing their songs. He found them in Kalamazoo County—once a rarity, but not anymore. The stocky birds with silver beaks increasingly make appearances in Michigan, in places like Kalamazoo, Allegan County, and the Upper Peninsula. Fifteen sightings have been confirmed since 2010. Only eight were reported in the decade prior, according to Byrne, Michigan’s Bird Records Committee secretary. Blue Grosbeaks are among the growing list of southern species that people are seeing with some regularity in Michigan, including Chuck-will’s Widows and Summer Tanagers. Scientists studying the effects of climate change suggest Michigan’s long-established mix of breeding birds will shift over time as climate conditions change across North America, affecting what food and habitat is available in different regions. Common southern birds are expected to breed more frequently in Michigan, while some common to Michigan will move north and out of state. What that means, Wilsey says, is that climate conditions are shifting geographically. Areas with suitable habitat for bird species today may not have the climate needed to foster that habitat in 50 years. Will Ontario’s boreal forests shift geographically as climate changes, or the sweeping Great Plains prairies? What isn’t known is just how habitats will shift, how fast, or the degree to which birds can adapt. In some cases birds could face significantly smaller areas of suitable habitat. National Audubon’s report lists 126 species as “climate endangered,” which means they are predicted to lose more than 50 percent of their current range by 2050. Another 188 species are “climate threatened,” meaning they are expected to lose 50% by 2080. Fifty common Michigan species are listed in the report. Those include the Bohemian Waxwing—predicted to lose 100% of its summer climate range and 52% of its winter climate range. 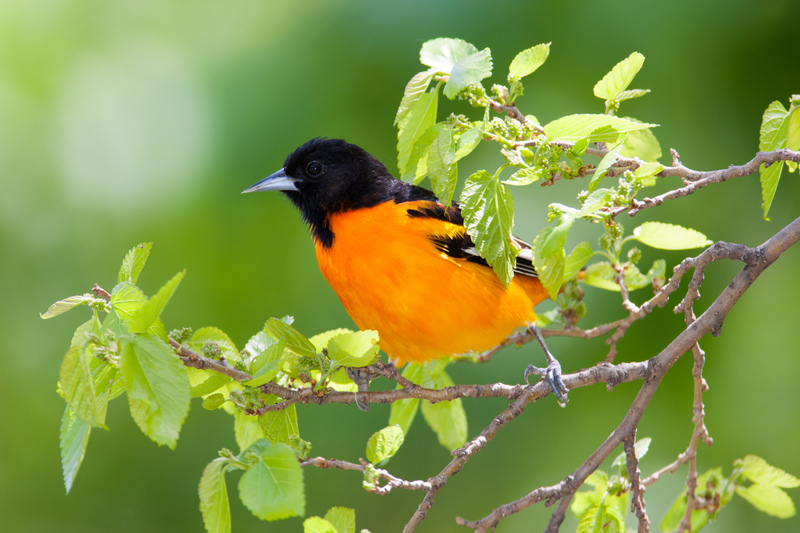 The Baltimore Oriole is predicted to lose only 25% of its summer range but 68% of its winter climate range. There will be winners and losers, according to Wilsey. Baltimore Orioles, White-breasted Nuthatches, and Hairy Woodpeckers will shift north but still be found in Michigan at the end of the century. Common Loons are projected to shift north and no longer breed in Michigan. The same is predicted for Red-breasted Mergansers. Neo-tropical migrants such as the Scarlet Tanager and Connecticut Warbler, both of which breed in Michigan, are likely to breed further north. That’s the prognosis for boreal species too, such as Purple Finches, Pine Siskins, Evening Grosbeaks, and Red-breasted Nuthatches, which currently breed in Michigan. Chris Hoving, the Michigan Department of Natural Resource’s (DNR) adaptation specialist, called some of the Audubon findings disturbing and said his agency may need to revise how it goes about planning for wildlife. Kimberly Hall, the climate change ecologist for The Nature Conservancy, North America, is currently tackling the problem. She is working to identify “resilient” ecosystems called “climate strongholds,” areas that can retain biodiversity as climactic changes alter the landscape. She recently began a three-year study, funded by the Doris Duke Charitable Foundation. It will produce data and maps that identify the strongholds in the Great Lakes and Great Plains region. Having an inventory of climate strongholds can help determine future land-conservation priorities for the Conservancy and land managing agencies, Hall said. 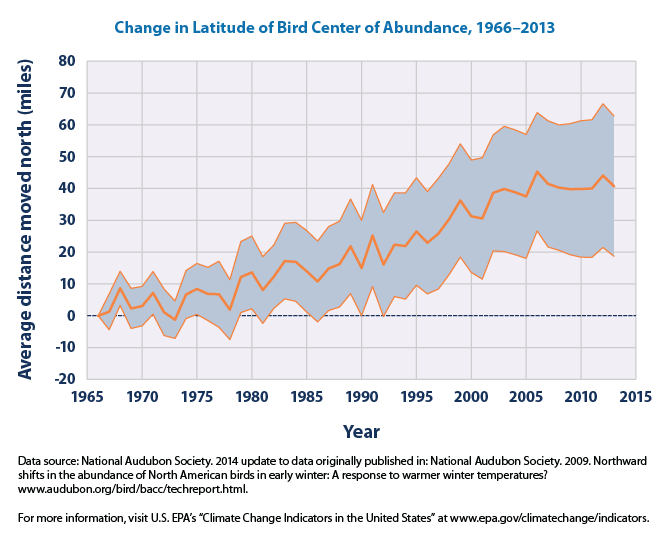 National Audubon currently uses climate stronghold information to prioritize Important Bird Areas, according to Wilsey. It has an Eastern Forest and Eastern Grassland priority project and is now engaged in a Midwest pilot program with the Minnesota DNR to incorporate those strongholds as priorities in state wildlife action plans, the documents that specify what the agency will do for wildlife species. Rachelle Roake, conservation science coordinator for Michigan Audubon, called the Audubon report findings “extremely concerning.” Michigan Audubon, she says, is now working locally to restore habitat at some its properties, particularly the Bernard W. Baker, Phyllis Haehnle Memorial, Otis Farm, and Capital City sanctuaries. This story appears in the May/June Jack Pine Warbler, magazine of Michigan Audubon. This entry was posted in Uncategorized and tagged Birds, Birdwatching, Climate Change, Conservation, Environment, Loons, Michigan Audubon Society, Michigan Department of Natural Resources, National Audubon Society, Nature, The Nature Conservancy, Wildlife. Bookmark the permalink.